Oh my, since I just recently came back to New York from California, there was a (literal) 30 degree drop in temperature for me when I got off the plane! Goodbye fall, hello winter. The one thing I love about winter however, is the opportunity to wear tons of accessories. 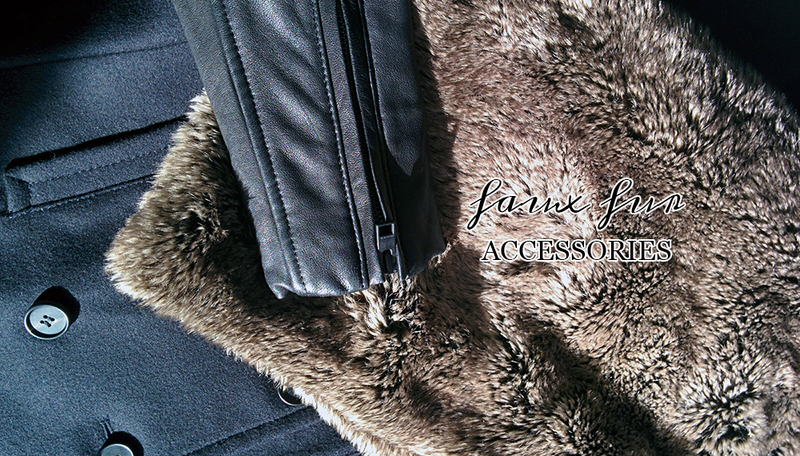 I love adding a faux fur accessory to my winter outfits. Not only does it add texture to an outfit, it can also be a great statement piece. 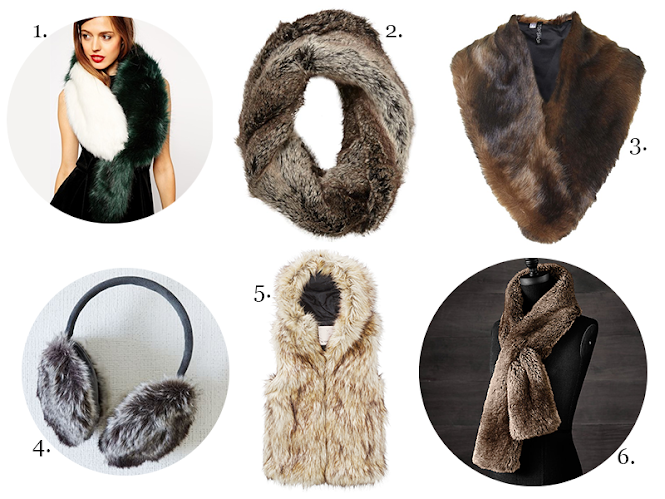 I've noticed that there has been a plethora of "lapel" faux fur accessories (see pick #3) hitting the market. Basically, it allows you to add a faux fur collar to any jacket. I think it works particularly well with classic wool coats!